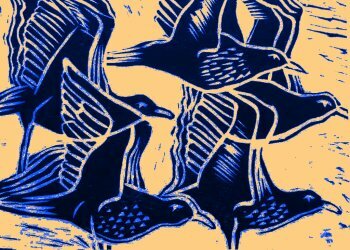 Ibis Whimbrel is a renowned exponent of woodblock printing who has migrated around the world learning her craft and making ornithological observations. 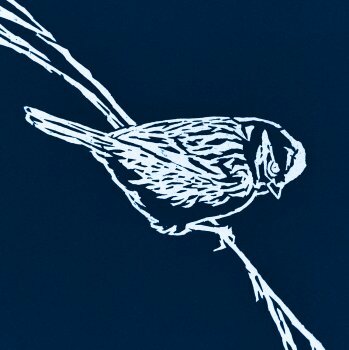 She contributed frontispiece illustrations to Birds of Madinat Yanbu Al-Sinaiyah and its hinterland by Peter J. Baldwin and Brian S. Meadows (published by Royal Commission for Jubail and Yanbu, Riyadh, 1998). 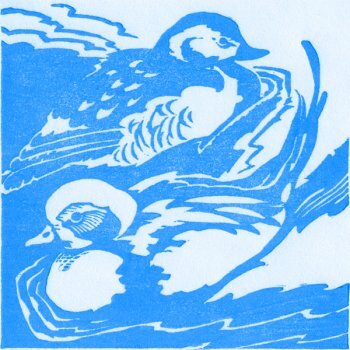 Her initial inspiration was bird watching as a child at the RSPB hides at Snettisham and Titchwell Marsh. 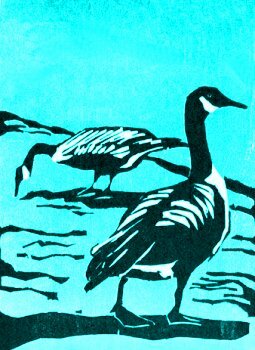 'The Alex' is privileged to have hosted an exhibition devoted to her depictions of birds living on the shorelines of lakes and oceans. Ibis Whimbrel is especially grateful to her tutors, who include Betsy Bowen, Peter Brown, Alfred Stark and Kate Watkins. 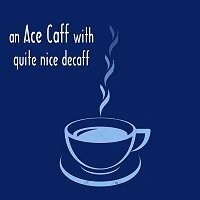 While you are at The Alex don't forget to visit the Ace Caff, with a collection of vintage playing cards displayed under the glasstop tables.